Get the feel of spending a sunny day on the beach and feast your eyes on sunburnt head-spinning ladies out there. 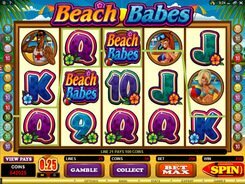 The 5-reel 25-payline slot produced by Microgaming will transport you to a sandy seaside where you will encounter all kinds of enjoyments. 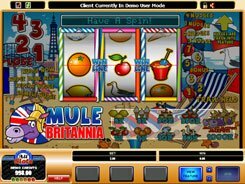 The slot symbols live up to its summertime theme featuring seminude women, a life guard, beach ball, etc. 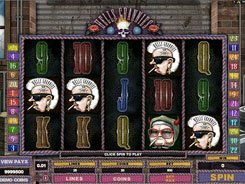 Combinations of matching symbols landed on an active line pay out fixed wins according to the paytable. 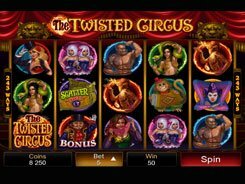 Before every spin you should make a bet by selecting the number of lines you bet on, the number of coins per line (10 coins max), and a coin denomination ranging from $0.01 to $0.25. 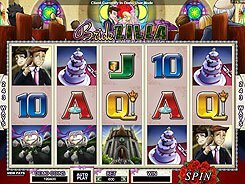 The maximum bet per spin amounts to $62.5. The Beach Babes logo is a wild multiplier providing two advantages. First, it helps complete winning combinations by replacing missing symbols. Last, the wild doubles your payout when substituting. The icebox is a scatter symbol that cannot be substituted by a wild. 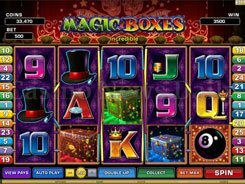 Twenty to thirty free spins with a x6 multiplier are awarded, once the scatters land on reels 2, 3 and 4 simultaneously. In the standard Gamble feature you have to select a color of the card to double your cash prize. If you opt to quadruple your winnings, you should guess the card suit correctly. 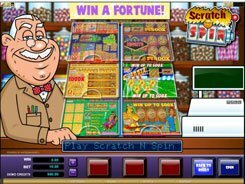 After each successful attempt you can collect the money or gamble again. PLAY FOR REAL MONEY!